Based on a whistleblower report, Nissan’s Representative Director and Chairman Carlos Ghosn and Representative Director Greg Kelly have shown to have underreported their compensation amounts to the Tokyo Stock Exchange. In addition, they have used company assets for personal use. In a statement, Nissan says they have been providing information to the Japanese Public Prosecutors Office and has been fully cooperating with their investigation. As the Japanese automaker uncovered the misconduct of Ghosn and Kelly through their internal investigation, it’s clear that it’s a violation of their “duty of care as directors.” Thus, Nissan’s Chief Executive Officer Hiroto Saikawa will propose to the Nissan Board of Directors to promptly remove Ghosn from his positions as Chairman and Representative Director. Saikawa will also propose the removal of Greg Kelly from his position as Representative Director. 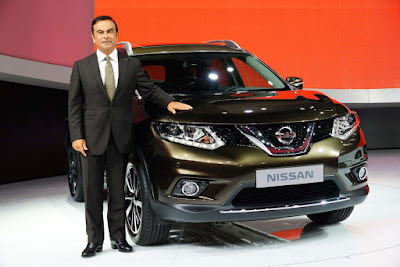 This news may jeopardize the Nissan-Renault-Mitsubishi Alliance where Ghosn also serves as the Chairman. It is likely he will be ousted there as he will be from his positions at Renault and Mitsubishi.